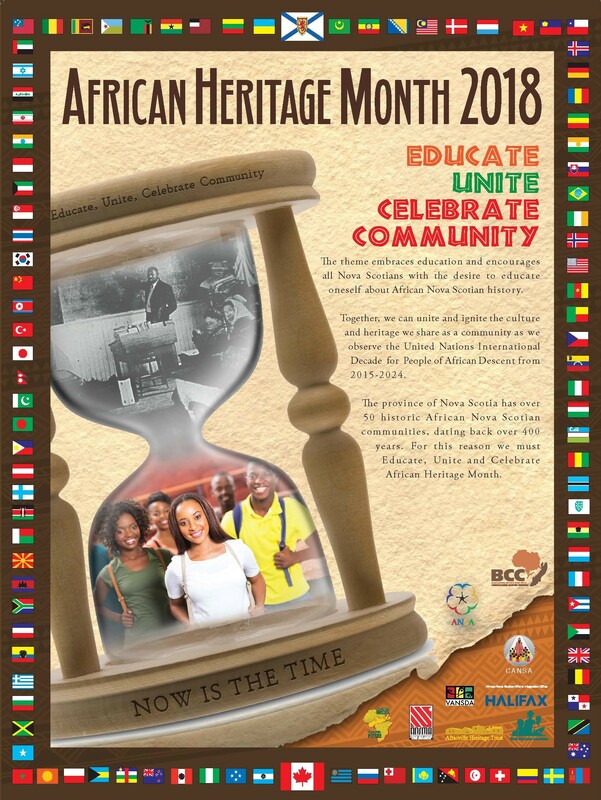 The 2018 African Heritage Month theme “Educate, Unite, Celebrate Community” will honour and pay homage to African Nova Scotians and their long legacy of uniting a passion that has provided a base to educate and celebrate an important part of Nova Scotia’s culture and Heritage. The theme embraces education and encourages all Nova Scotians with the desire to educate oneself about African Nova Scotian history. Together, we can unite and ignite the culture and heritage we share as a community as we observe the United Nations International Decade for People of African Descent from 2015-2024. This observation focuses on three pillars: Recognition, Justice, and Development. 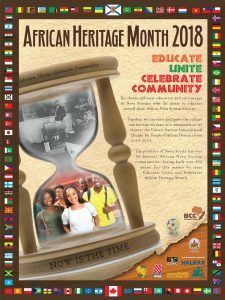 Please complete the form below to order your copy of the 2018 African Heritage Month Poster. Quantities are limited, so please place your request early. Orders are generally processed within two business days and allow for 1-2 days shipping time. Posters can also be picked up at various locations in the province. For requests from outside Atlantic Canada, minimal shipping rates may apply.